The academic, who is IT adviser to the Lord Chief Justice, hit back strongly at critics of the move online, saying they should be wary of “comparing online courts with some ideal and yet simply unaffordable conventional court service”. His submission to the justice select committee – which is investigating the access to justice implications of the £1bn court modernisation programme – focused solely on online courts. He chaired the Civil Justice Council’s online dispute resolution group, whose report in 2015 set the ball rolling for the development of the online court. Two major benefits should flow from the introduction of online courts, he said: an increase in access to justice through a more affordable and user-friendly service, and substantial savings in costs, both for individual litigants as well for the court system. Professor Susskind described the level of debate so far on online courts as “disappointing”. He then sought to knock down common criticisms, such as the danger of digital exclusion. “The critical rhetoric here does not align with empirical research. According to the Office of National Statistics, 90% of adults in the UK in 2018 were recent internet users. If we also take ‘proxy users’ into account (grandfather is not an internet user but his grandchildren can help), the percentage of excluded adults falls well below 5%. He added that around 19% of working adults have a limiting long-term illness, impairment, or disability, “for many of whom an online court would surely be more convenient and less traumatic than attending a physical court”. 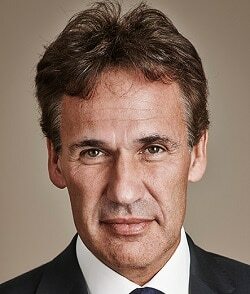 Professor Susskind acknowledged it was “vital” that the work of our courts and the conduct of individual cases were open to scrutiny, but questioned whether society lost anything if some low-value civil cases were resolved by judges online rather than in public hearings. “So long as many significant civil cases are still conducted publicly, I do not see that the justice system as a whole is thereby rendered less public. There will still be countless opportunities to see the system in action. “As for individual cases, parties may feel they will lose the chance to be publicly vindicated and for their opponents to be publicly denounced. They might lose their day in court. The academic argued that if online courts delivered substantive and procedural justice, “I cannot find any countervailing principle of justice that insists we should always favour our traditional system which is accessible to very few and too often disproportionate when it is invoked”. Professor Susskind also argued that there was “no systematic, credible alternative proposals for tackling the access to justice problem”. He said: “Many lawyers and activists, who are understandably angry about cuts in public spending on legal aid, seem to suggest that the simple answer to inaccessible courts is to set that tap running again, for the state to pay for the legal work of many more people. “The comparison that should be made is with what we actually have today – a system that is too expensive, takes too long, is not understandable to the non-lawyer, and so excludes many potential litigants with credible claims. “We have to find a way of widening access and reducing unmet legal need at a cost that makes sense relative to the value of any given case.